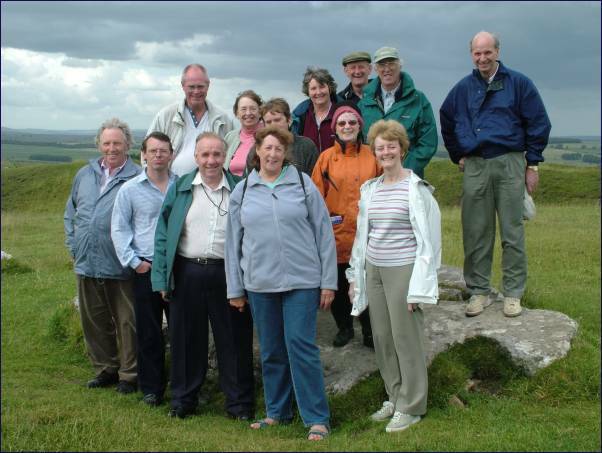 A grand day's outing by coach to Derbyshire. 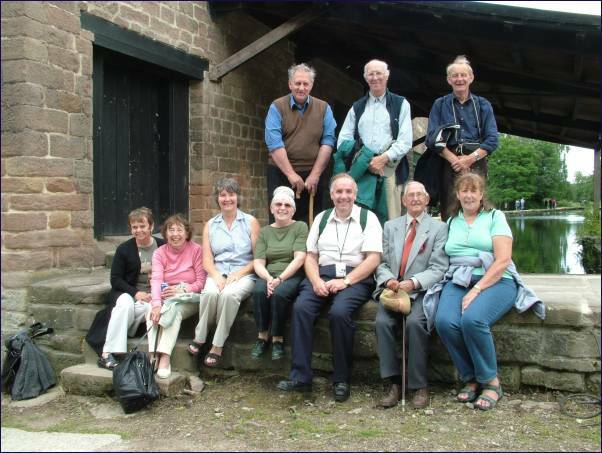 Society Members pose by the Cromford Wharf. After Cromford we drove to Arbour Lowe stone circle near Bakewell.